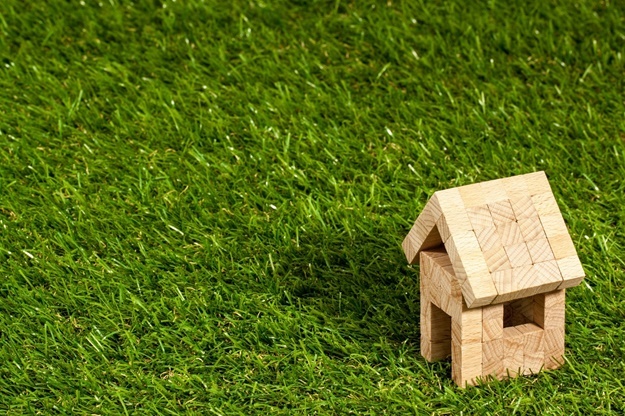 Home Unlabelled Should You Be a Landlord? Owning a property is the first step to becoming a landlord. However, is this career choice right for you? Although it might seem like a way to generate passive income, being a landlord is more than just collecting profits from your house for rent in kuching every month. Do you like doing it yourself? If you have a pair of hands that are handy, and you like doing your own work around the house, you could try your hand at being a landlord. As a landlord starting out, you might not have the budget to outsource some of the work needed around your rental property. It could be light plumbing, or even simple construction, landscaping work, etc. Outside contractors could be charging a fortune for the work your property needs before it is ready to be leased out. You need to be able to do some of the work yourself if you expect to turn your rental income into profit. This is an easy way to save some hefty labor costs. If you are planning to expand your rental business and property portfolio beyond one rental property, you’ll find yourself unable to handle sheer amount of work all on your own. Sure, you can convincingly do all the work yourself if it’s one property. But what if you are expanding to multiple locations, and expanding quickly on top of that? Then, you’ll need to have a network of contractors to call in to handle the work. Relationships with these contractors take time to build. It also takes a good deal of time to find the right people to hire for the work. If you have already formed a relationship with these people, you’ll be able to begin your adventure as a landlord in a much better starting position. This same relationship trump card applies to real estate agents as well. With established connections, you’ll be able to have better access to a potential pool of tenants. This reduces your advertising costs and also helps remove some obstacles before you even get started. Can you handle the responsibilities? If you look at your rental business as passive income and not a career, or if you have a principal job that you are busy with, you will find yourself with competing priorities due to the responsibilities of being a landlord. Depending on your tenancy agreement and the fussiness of your tenants, you might be working around the clock 24/7 just dealing with your tenants concerns and issues. If you have the budget for it, consider hiring a property management company to manage your rental properties for you. This operating expense might cut into your profit, so do your financial planning ahead of time to see if you can really afford it. Otherwise, be prepared to be taking calls, which might even be in the middle of the night, to placate your tenants’ household problems. Do you like dealing with people? Being a landlord takes a lot of time, patience, and most importantly people skills. Regardless of whether your tenants are easy or difficult to deal with, as a landlord your tenancy agreement obliges you to address their concerns. If you have a pool of tenants to pick and choose from, you can screen them carefully to see if they are the right fit for you. However, screenings are rarely a good judge of character, and even the nicest people can some times end up surprising you in a landlord-tenant relationship. Your tenants may or may not share the same ideals with you in terms of values as well as personality. To be a successful landlord, you will need to be able to deal with any type of character life throws at you. However, certain times you will be pressed to fill a vacancy as quickly as possible to prevent losing money. You may have to accept a tenant that you may not like if there are no other tenants interested in the property. This threat of negative cash flow could force your hand in the matter. Even if you have chosen well, dealing with strangers may not be your strong suit. The problem is that even the nicest tenant will not care for your property as well as you would if you were to live there. Thus, you will still have to deal with them to address their issues and concerns. Do you have the financing available? One of the greatest financing tips is to buy a house with cash. This eliminates the expense of loan repayments, which will definitely incur interest. When you buy a property with cash, every cent of rental income you receive, after maintenance costs are deducted, is your profit. Of course, leveraging your property purchase by using other people’s money can also be a smart approach that can turn out to be profitable. Financing your rental property purchase with debt opens up the possibility of becoming a landlord to more people. Thus, having the cash on hand to buy the property outright is not a must when it comes to real estate investing. However, it will be much easier to generate a positive cash flow if you do. Can your rental income cover your expenses? The amount you can charge for rental prices is determined by the law of supply and demand. In certain locations, the overflow of empty rental properties can cause competition to be intense and subsequently drive prices down. What’s more, if you are competing with investors that own their properties outright, while you have to content with loan repayments and expenses, this puts you in a disadvantaged position as you will end up having less room to maneuver and be flexible in your rental prices. Thus, the rent you charge needs to be high enough to cover your expenses and also allow you to take home a bit of a profit. You may also look to increase your profits by volume. The more properties you own and rent, the more you profit per property due to economy of scale.